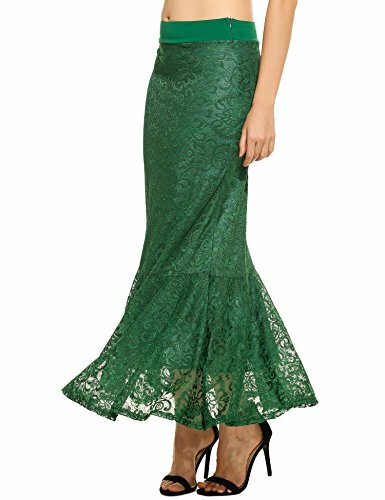 Mermaid Skirt - Not Just For Halloween Costumes Anymore! 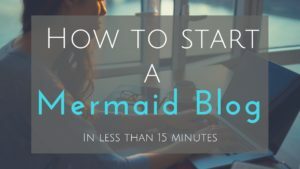 We come up with all sorts of creative ideas to show off their inner mermaid. A fun way to pull this off is with a mermaid skirt! 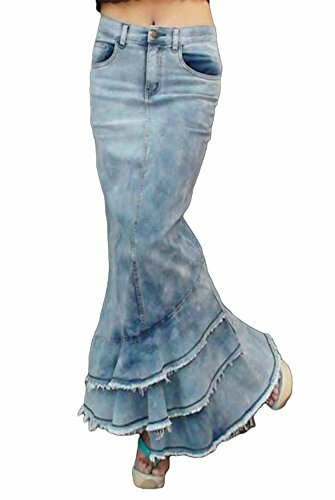 Mermaid skirts are actually a type of adult mermaid skirt that flares out at the end. Check out these options below and let me know which you like the best! Short mermaid skirt can have a flare to them but are mainly set apart due to the fish scale print. These are also known as mini skirts. 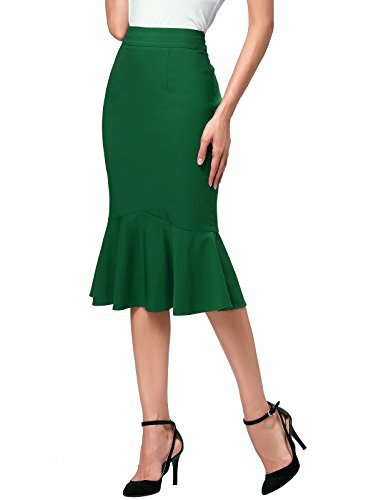 Do you see the subtle flair with this high waist pencil skirt? Knee-length so it’s appropriate to wear at the office. Super cute and can be worn as a regular business skirt! Because we can never get enough sparkle in our lives. Sequin fabric is used for many things but skirts are next level. Be careful! You won’t be the only one that wants to move those sequins around. There are a few prominent colored skirts and they include white, green and denim. White looks so form fitting and elegant. This skirt can really match with anything. These are fun because you can double them with a mermaid costume as well as wear out on the town. Get out! These are adorable. My inner hippie is so happy. 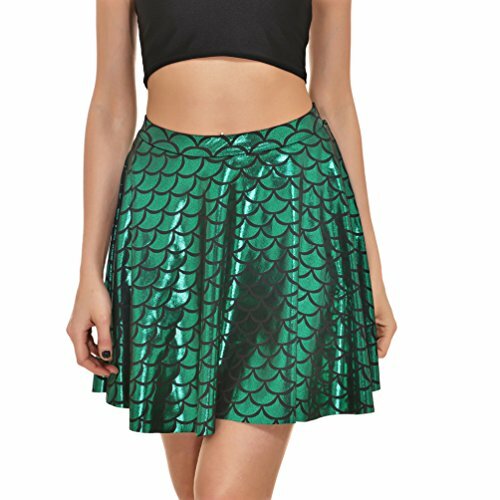 These are the classic mermaid skirts costume you wear to Halloween parties. They might be a little too flashy for the office. 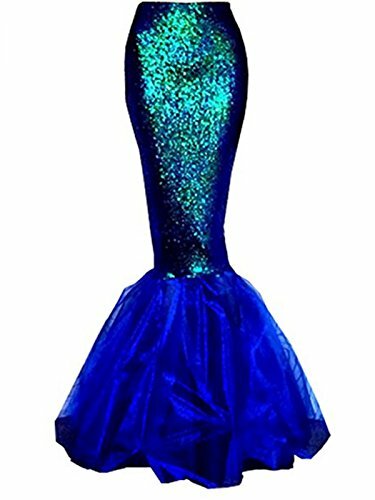 These blue colors are out of this world but perfect as a Halloween costume! These have an actual fishtail (or fluke) attached to them making the mermaid illusion even stronger. This long skirt will drag on the ground so be careful when going outside. Are you looking to create a DIY project? Etsy actually has some great ideas and patterns you can download instantly! 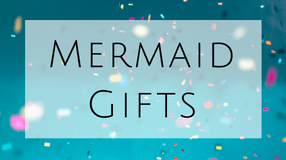 Choose your favorite color or mermaid fabric and have a one of a kind mermaid skirt! 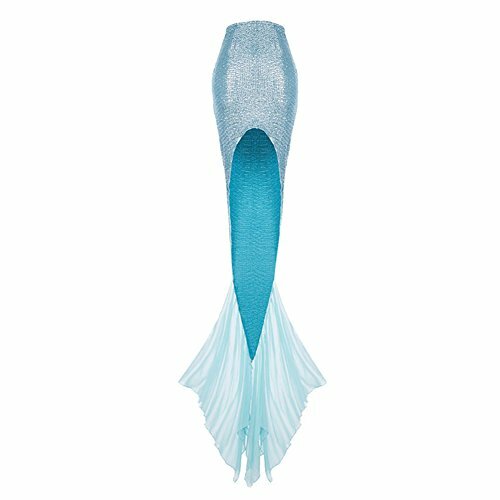 I am looking for a large amount of child size mermaid tail skirts at a reasonable cost. I work for Merlin Entertainments Sea Life Aquarium in Kansas City. 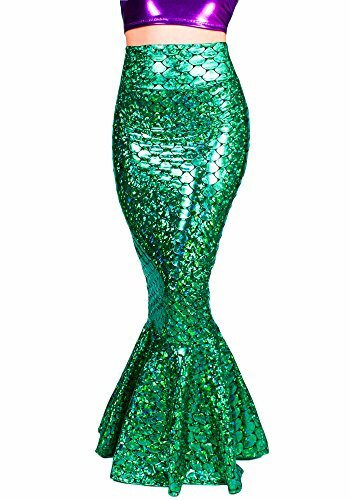 We will be hosting a mermaid event in which children will get a mermaid makeover before meeting a real mermaid. Please let me know if you can help me find the child mermaid tail skirts. Hello Erikka, I don’t have child size skirts but there are a bunch on Amazon that I think you would like. Particularly this one!